Hi Lovelies! just a quick intro today haha, I found this beauty TAG from Jennie at Sailboat a UK fashion, beauty & lifestyle blog and thought I would give it a go. I really like the questions, and I thought it would be a nice relaxed Sunday post for you lovelies. I hope you enjoy it, and let me know if you get around to doing it yourselves! I will definitely check it out. Do you remember your first makeup item ? Haha I sure do! It was a Bourjois 3D Effet Lip gloss. I was obsessed with them in school, and pretty much had one in every colour haha. What kind coverage do you prefer for your foundation ? I'm definitely a light to medium kind of girl. For my everyday foundation I love the Chanel Vitalumiere Aqua, and for a more medium coverage option I love to use the NARS Sheer Glow foundation. Favourite high end brands ? Favourite drugstore/high street brands ? Probably Revlon and Bourjois! I also like the L'Oreal True Match foundation. What cosmetics brands have you always wanted to try but still haven't ? I really want to try some products from Charlotte Tilbury and Kevyn Aucoin, some of their products look amazing! Do you wear fake eyelashes ? I was obsessed with them when I was like 16! but now I only wear them for special events. I love my Benefit "They're Real" Mascara for a doll like lash look. Is there any kind of make up you can't leave the house without ? Haha this might sound terrible! but I don't leave the house without having at least 3-5 lipsticks rolling around in my bag. I just feel like lipstick really reflects how I'm feeling that day. What is your most cherished beauty product ? My Chanel Vitalumiere Aqua Foundation is seriously my HG! I'm just starting my 8th bottle now, so I would definitely say its my most cherished beauty product haha. How often do you shop for make up? Do you pick out a lot of products at once. I do shop quite a lot for make up, but not as much as I did last year haha. I have tried to become a little more disciplined, but I can't resist new collections! they are my weakness. Do you have a beauty budget ? I wish I did haha! - However, I have gotten a lot better recently and I try to use products I already have, instead of going out to buy similar products just because they are new releases. What type of product do you buy the most ? Definitely lipsticks! I just can't help myself with all the beautiful shades haha. I also sometimes use my lipstick as a blush if I'm in a rush and want to keep my makeup look coordinated. Do you have a favourite place to shop for make up ? Definitely Debenhams! I am a beauty club card holder, and love getting the points and free delivery! If you could only buy from one brand, which brand would you choose ? I would probably say Chanel! (expensive option I know haha) I have used it since I was 16 and could definitely buy all my make up from there. I love loads of brands but find I only shop MAC for their lipsticks .. Benefit for their highlighters and blushers etc! However, I love all Chanel makeup. I would probably choose Revlon as my drugstore choice, as you just can't beat their lip products and their foundations are pretty good too. Which brand has the best packaging ? That's a toughie! I would say YSL or Chanel packaging. 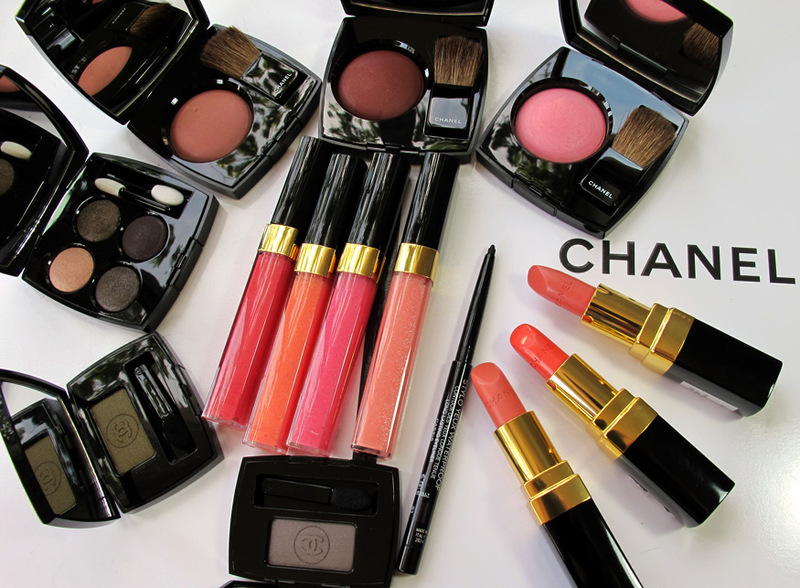 Chanel is so simple and classy, but the YSL Rouge Volupte Packaging is just beautiful. Which do you apply first, concealer or foundation ? I always apply foundation first, and then go back with my concealer to the area's I think need a Little extra coverage. 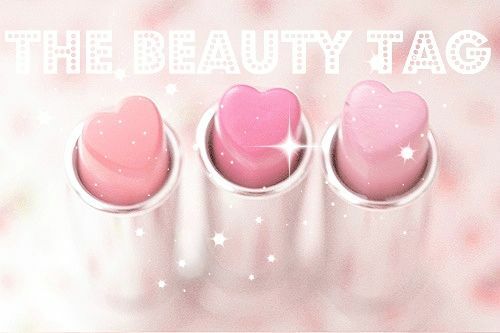 Do you like multifunctional products like lip and cheek stains ? I do sometimes, I really like Benefit's Fine One One that can be used as a cheek colour, highlighter and lip stain. Do you apply your foundation with a brush, sponge of fingers? I always use a brush, but sometimes I do use my fingers for a more natural finish. I have never been able to get along with the beauty blender, so I don't tend do use a sponge at all really. Which foundation do you use the most? I can't get enough of the Chanel Vitalumiere Aqua! I think I mentioned above that I'm just starting my 8th bottle. I try and love loads of foundations, but this is the one I always go back to. Do you use a make up base or primer for the eyes? I don't tend to do to much eye make up on a day to day basis, but when I do I normally opt for my Urban Decay Primer Potion. I hope you enjoyed this TAG lovelies! I really liked the questions, and therefore I TAG ALL of my lovely readers to do this. Make sure you leave your thoughts and links in the comments section down below, as I really do love hearing from you all. Great tag! Oh those bourjois lip glosses, I must have has about eight :) you're definitely convincing me to try vitalumiere aqua! Do you have a review anywhere? The Jewel Beauty Blog - Spring Clean!